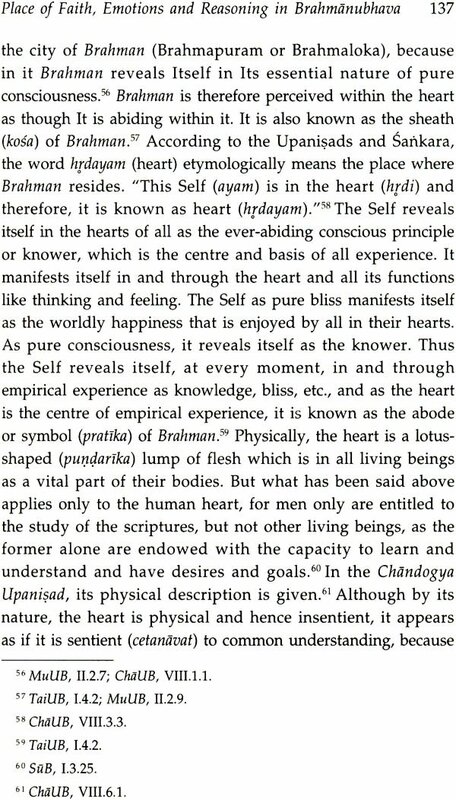 Brahman, according to the Upanishads and Sankara, the major exponent of the philosophy of the Upanishads known as Advaita, is not a metaphysical postulate meant to explain what is empirically experienced or the word. 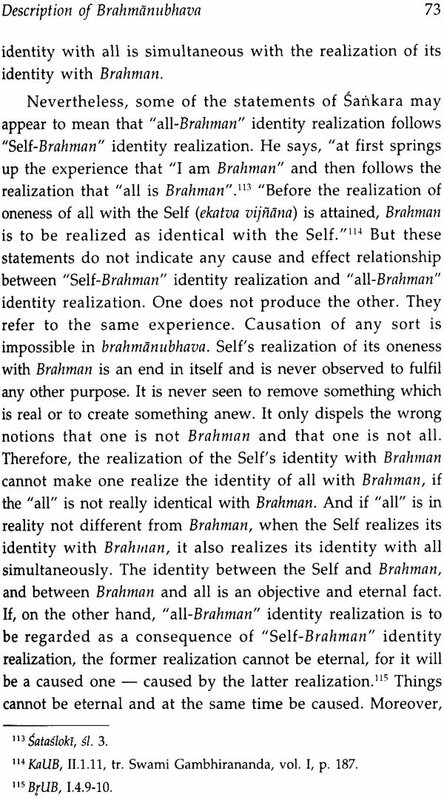 Brahman is absolutely real and is the inner reality or essence or self of all that is there, including one’s self. Therefore it is known directly and immediately as the real or true nature of one’s self. 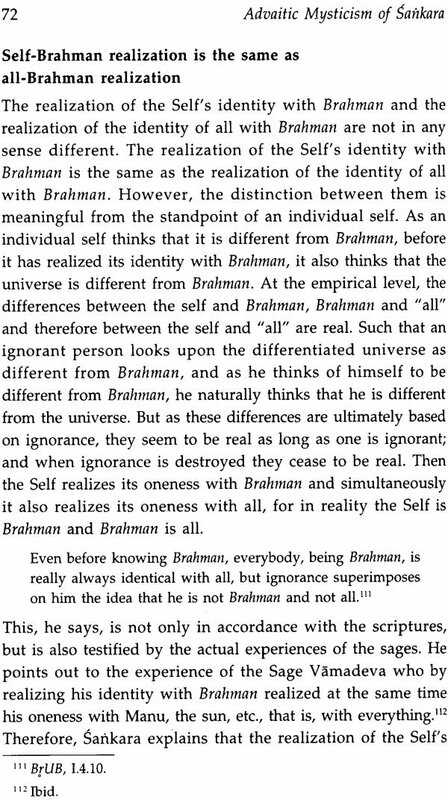 In the context of human reality Brahman is known as Atman, the true reality or nature of one’s itself. 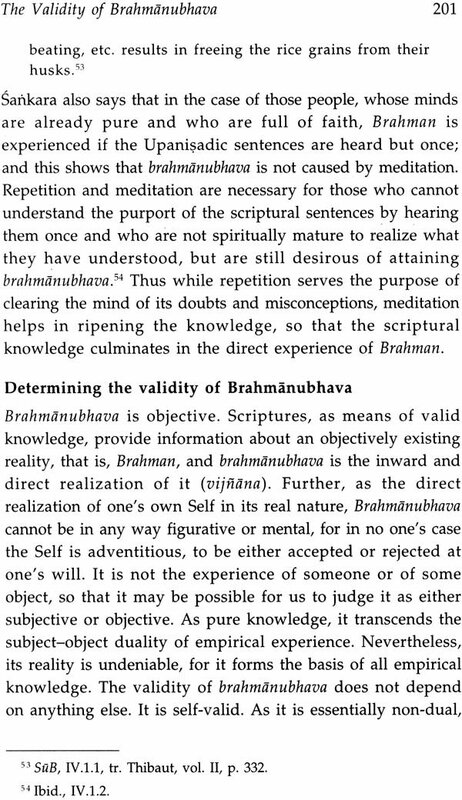 Direct and unmediated experience or realization of Brahman or Brahmanubhava is the consummation of man’s spiritual life as well as the supreme fulfillment of human existence. 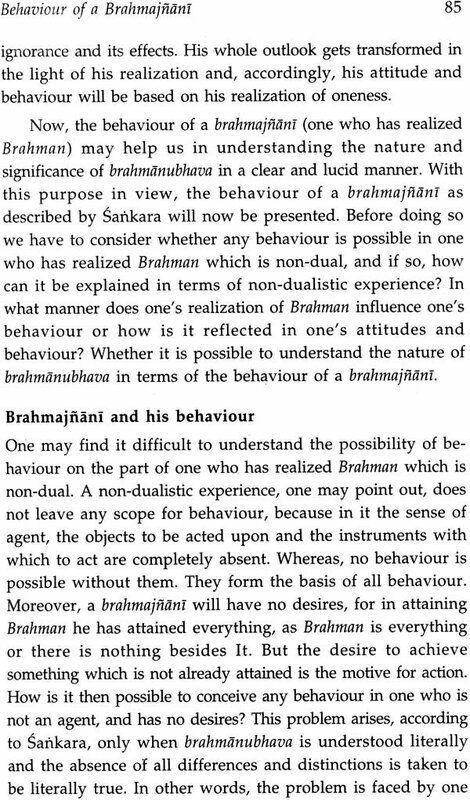 This is an attempt to understand comprehensively, and in depth the meaning and significance of Brahmanubhava as presented and and discussed by Sankara in his commentaries on the Upanishads on the Upanishads, Brama-Sutras and the BhagavadGita, and in his other minor works, like Vivekacudamani, Aparoksanubhuti and Upanishadsri. Sankara is also known for his problems of philosophy which is also known for his logical acumen and analytical approach to problems of philosophy which is also the reason for the lasting relevance and significance of his philosophy has not received the attention it deserves. May be this is the first of its kind in understanding and presenting systematically the Advaitic mysticism of Sankara in all its aspects. It is entirely based on the work of Sankara. 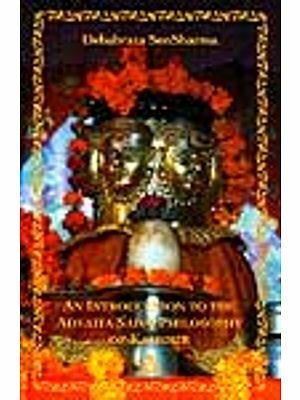 An attempt is also made in this book to understand the significance of Advaitic mysticism of Sankara in the light of its comparison with that of St. John of the Cross and Jalalu’d-Din Rumi, classical representatives Christian and Islamic mysticisms. Professor A. Ramamurty taught philosophy and Comparative-Religion for more than fifteen years at Visva-Bharati, Santiniketan, before joining the Department of Philosophy, university of Hyderabad. Besides a large number of research articles, he has authored many books including Advaita-A Conceptual analysis 92008), Indian Philosophy of Religion (2002), The Philosophical Foundations of Hinduism (2000), Vedanta and its Philosophical Development (2006), and Philosophy of Brahman (2010), and the Central Philosophy of the Rgveda (2012). 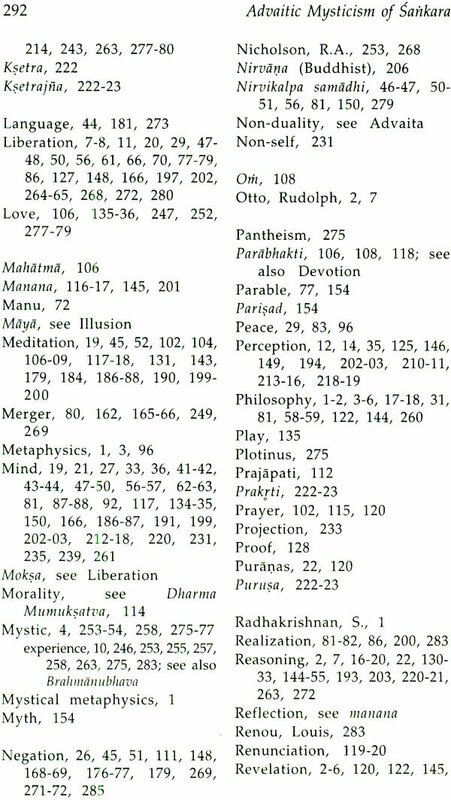 The Advaita Vedanta is one of the most important systems of Indian Philosophy, from the point of view of its content as well a s its influence. Although he had a number of eminent predecessors and successors, Sankara is by far the greatest thinker of this school. The classical exposition of the Advaita doctrine in its fullness is to be found in his great commentaries on the Upanishads, the Bhagavad Gita and the Brahmasutras. 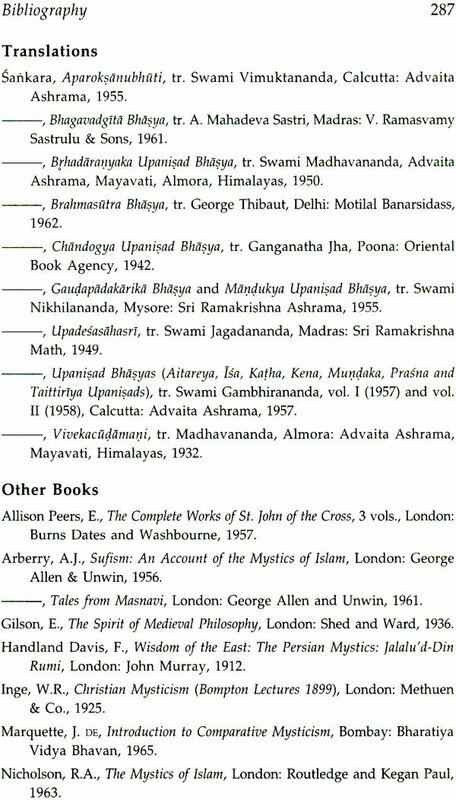 There are also a number of monographs (Prakarana granthas) expounding the Advaita doctrine, which are traditionally believed to be Sankara’s works. They are the Vivekacuddamani,Upadesasahasri , Aparoksanubhuti, etc. 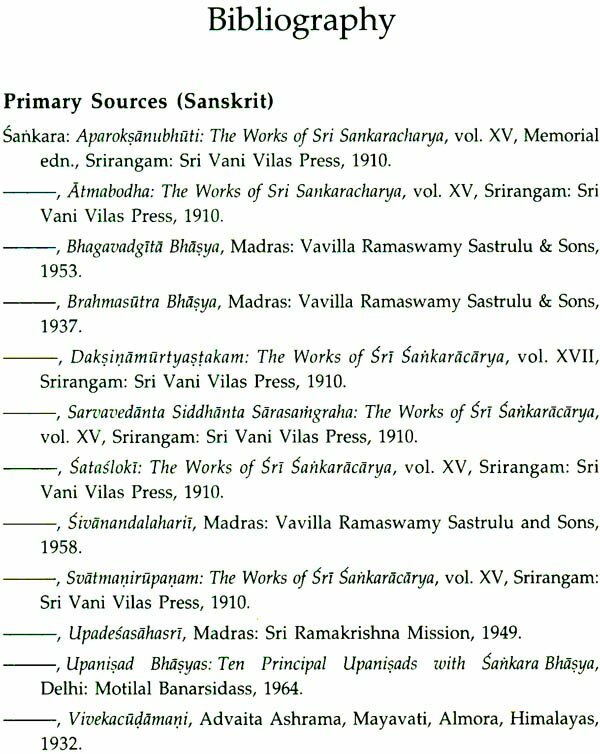 Some modern scholars, however, doubt whether the author of all these prakarana granthas was the great Sankara himself! 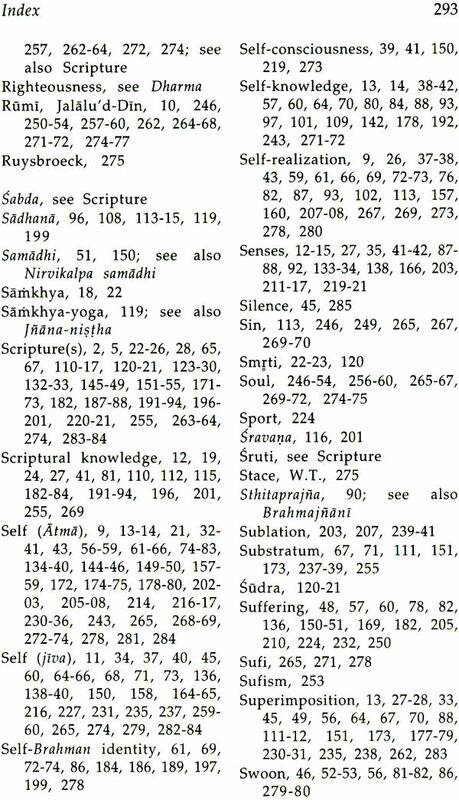 Although there are many books on Advaita Vedanta in modern languages dealing with its various aspects, there is none which deals with brahmanubhava (the experience of Brahman by being it) as is described and discussed in Sanskara’s works. 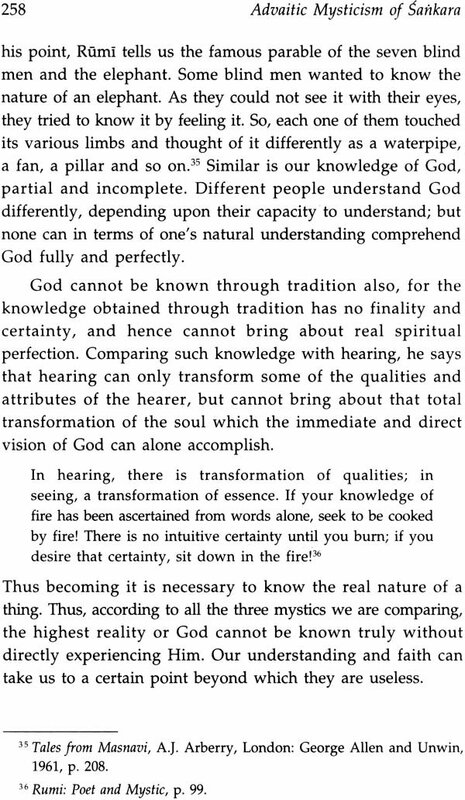 It is well known that Advaitins who came after Saskara interpreted and developed the master’s ideas in different ways. Similarly, there are some differences between Sanskara and his Predecessors. 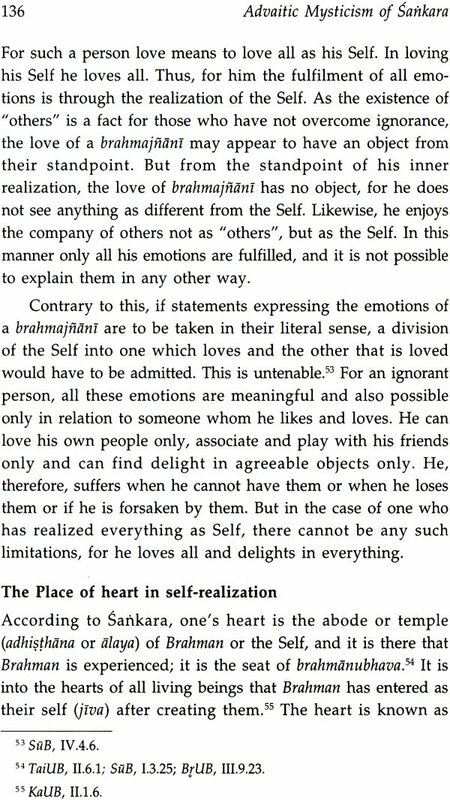 This book attempts to elaborate and clarify Sankara’s understanding of Brahmanubhava, in all its aspects, relying exclusively on his own writings. 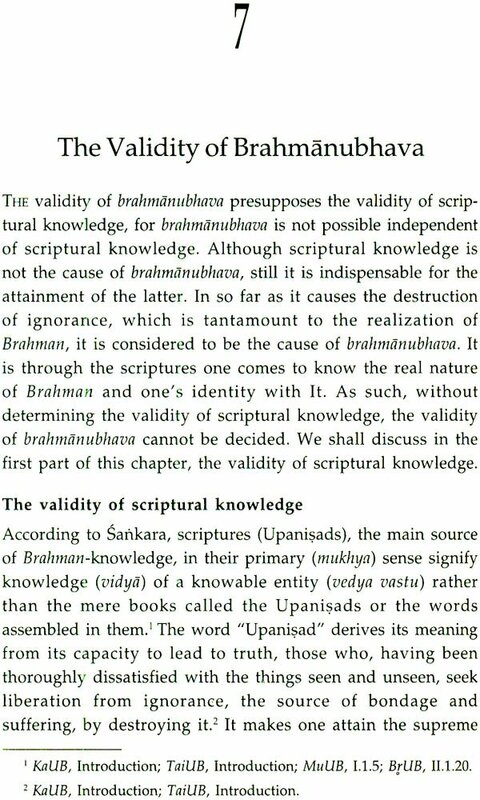 For this, not only the commentaries, but also the Prakarana granthas have been taken into account. 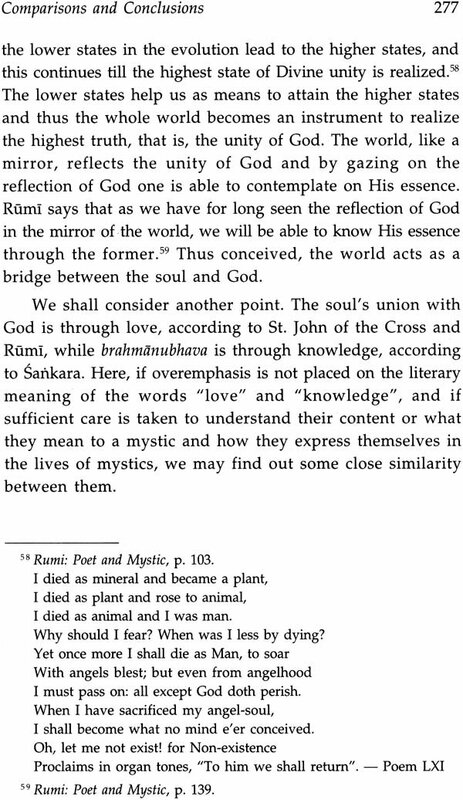 In the final chapter, brahmanubhava is compared with what was said about the mystic experience by two of the most authoritative exponents of Christian and Islamic mysticism, namely St. John of the cross and Jalalu’d-Din Rumi, mainly to understand Sankara’s position without any ambiguity. I am aware of certain repetitions here and there, but I hope, they are not out of context. This was originally submitted as a thesis for PhD, at the Abdhra University. I am grateful to K. Satichananda Murty of Andhra University under whose guidance my research work was carried out. I am also grateful to Santosh Chandra, Sengupta, Director, Center of Advanced study in Philosophy, Visva-Bharati, for publishing this book. 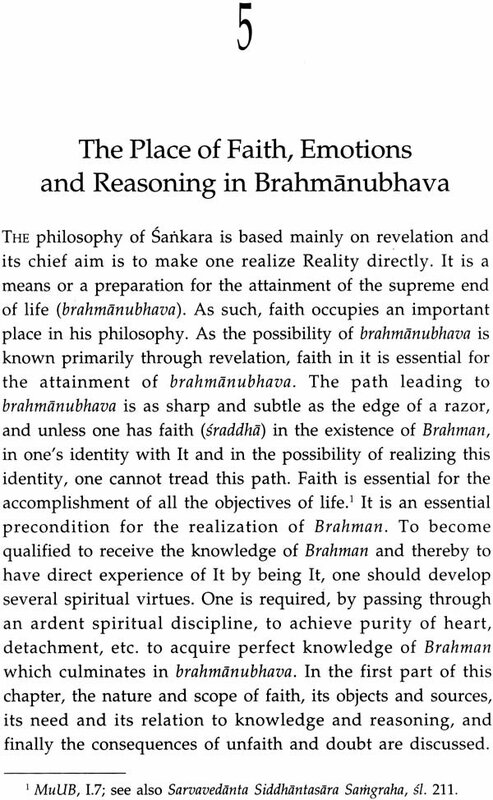 THE main purpose of an enquiry into the nature of Reality or Brahman, according to Sankara, is to have direct and immediate experience of It (paramartha darsanam), which is the highest state (para gati) a man can attain and the supreme consummation (parakastha) of human life. 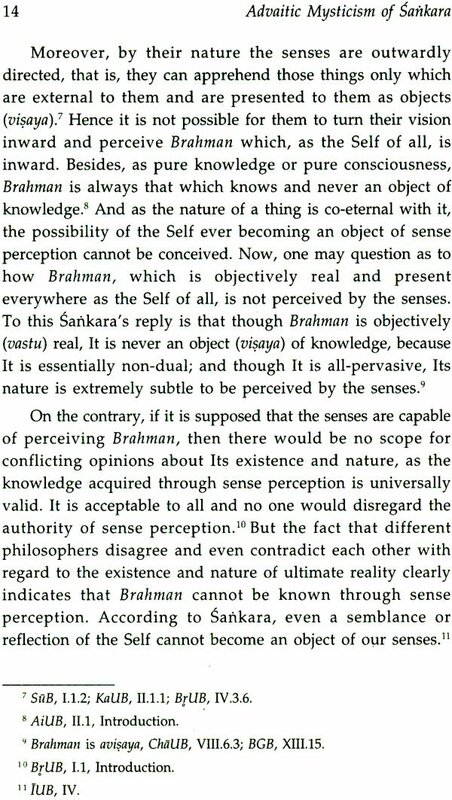 The real purpose of the important Upanisadic statements like "That thou art" and "I am Brahman", on which the mystical metaphysics of Sankara is primarily based, is not only to present the truth as revealed, but also to make everyone realize it for oneself directly (avagati nistha). 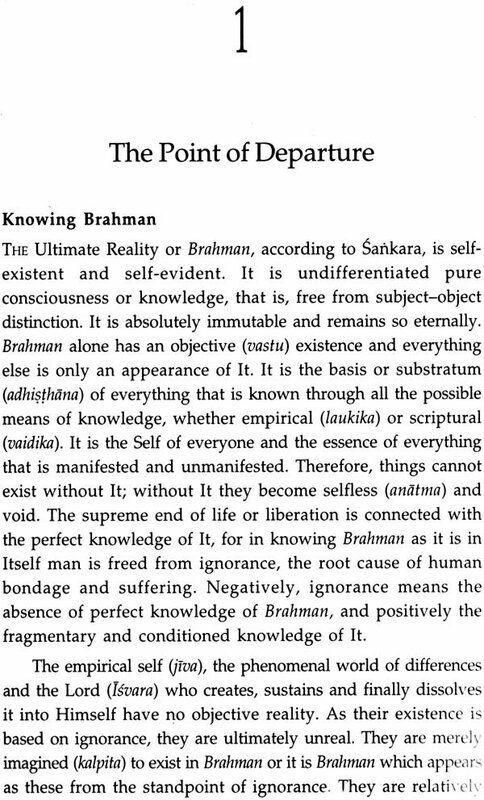 Accordingly, Sankara conceives philosophy as a means to attain the highest end of life or a preparation for the attain- ment of immortality (amrtattva sadhanam) - the realization of one's own self in its real nature - and is pursued by those who are desirous of attaining it (amrtattva kama). 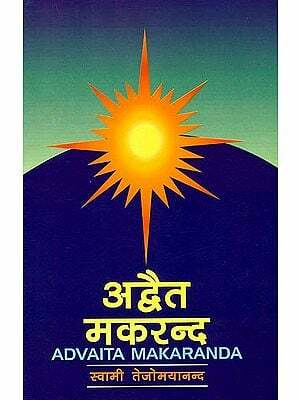 Thus the starting-point of a metaphysical enquiry, according to Sankara, is one's own self (ko va mama svabhava), and by discovering the true nature of it, it should culminate in direct realization of it. 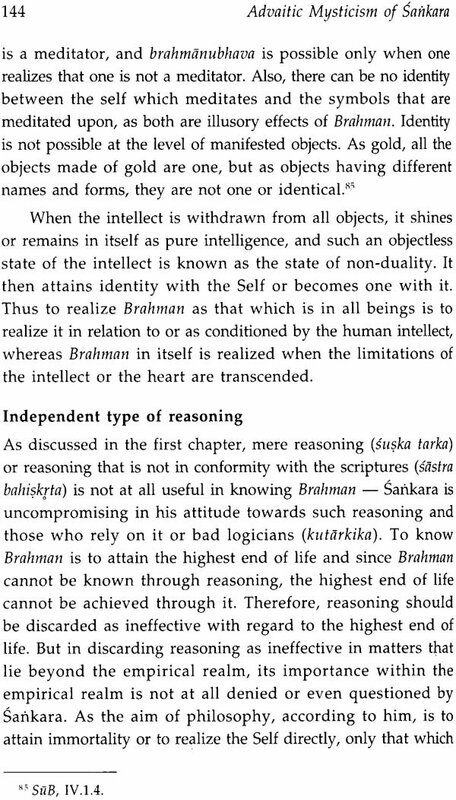 "The true ideal of philosophy, according to Sankara," says S. Radhakrishnan, "is not so much knowledge as wisdom, not so much logical learning as spiritual freedom."! 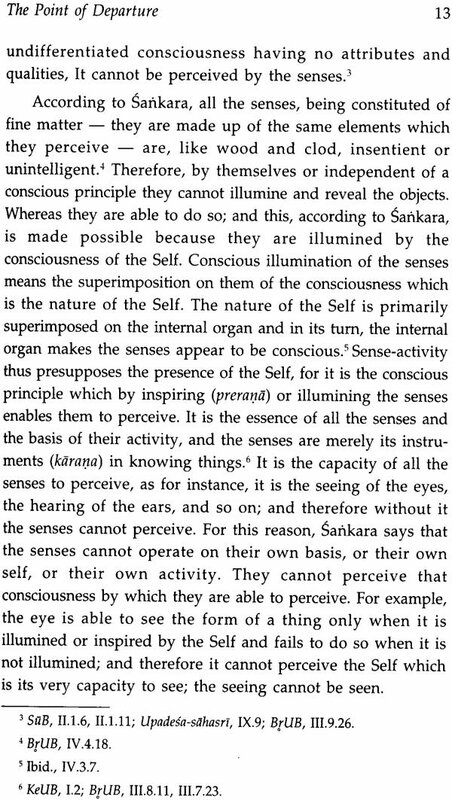 The greatness of Sankara does not lie in his ability to construct a sound system of metaphysics only, but also in his realization that no system of metaphysics can penetrate into the depths of Reality. His thought is not so much metaphysical as mystical. 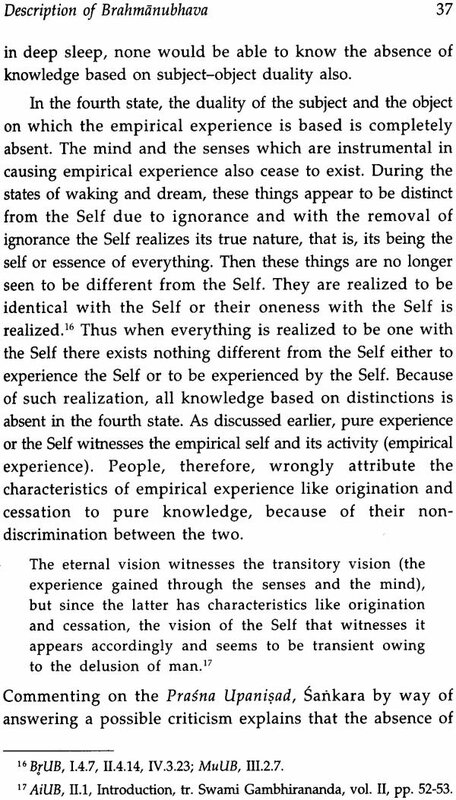 It is direct experience, but not reasoning that is given supreme importance in it. 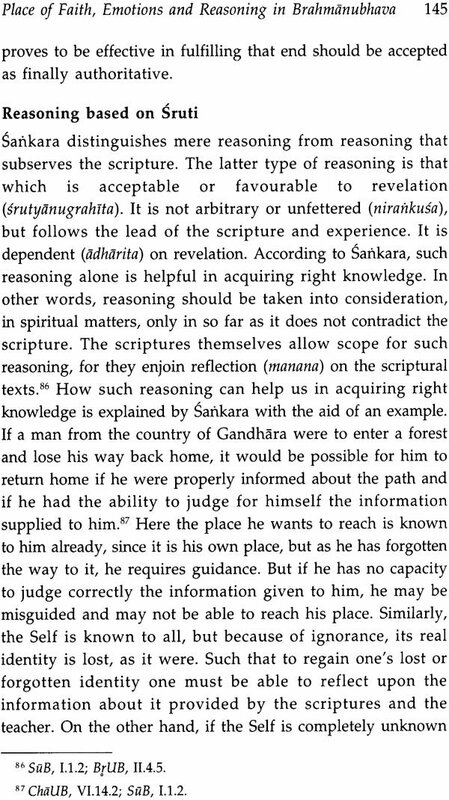 It is primarily based on the scripture, which, according to Sankara, is a repository of truth as experienced, and logic is used as an auxiliary to support and strengthen his main standpoint. 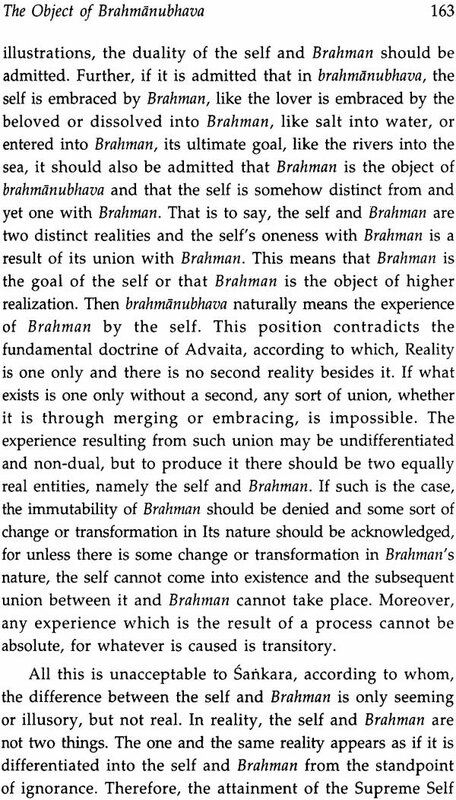 His main concern is not to construct, on the basis of reason, a system of metaphysics, but to present in a coherent and systematic manner the nature of Brahman as experienced. His writings are mystical and religious rather than logical, and their main purpose is not to make us understand, in a rational way the nature of Reality which is not possible, but to make us realize Reality directly for ourselves. 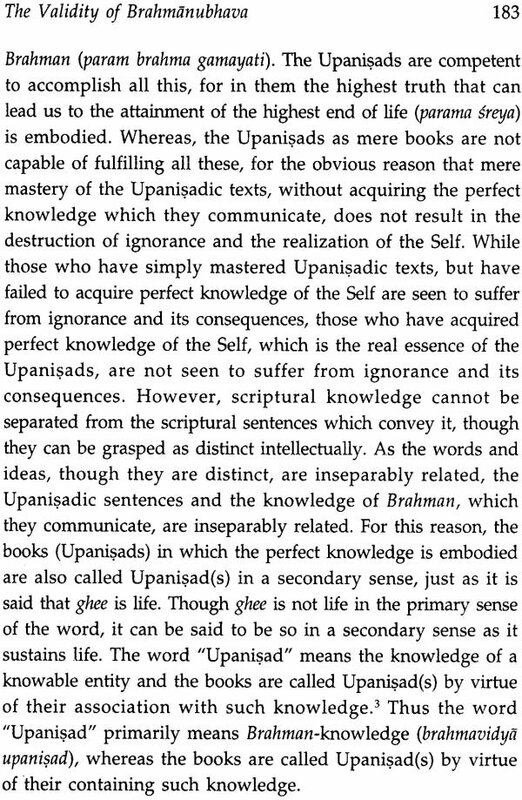 His is a philosophy of the Upanisads (aupanisadam darsanam) and a doctrine of liberation (moksa sastra). 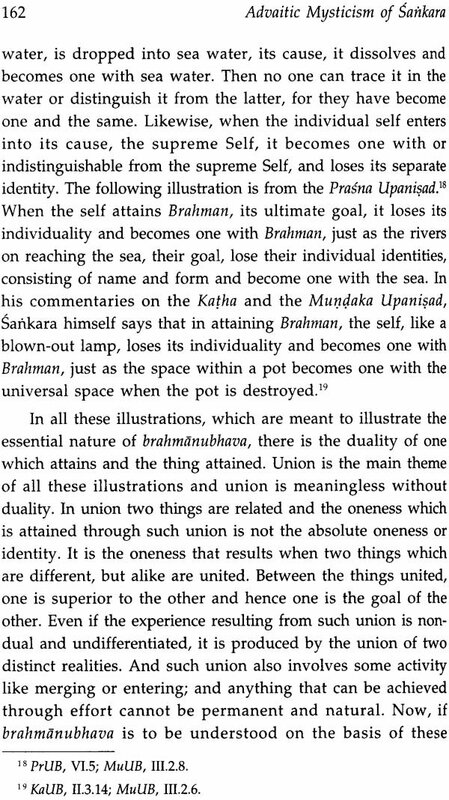 "With Sankara," says Otto, "one has first to break through the dry husk of his speculative system and disclose, embedded in his Brahman and atman, the living features of ancient Indian mysticism as it survives in the Upanisads and the Puranas. Sankara is neither apologetic nor dogmatic, but fully com- prehensive in his approach to the problems of philosophy. He has not underestimated the value of reasoning, nor does he dogmatically uphold the authority of the scriptures. In his search for truth, the direct realization of which is the supreme end of life, he has tried to understand critically the worth of both reasoning and revelation, but realizing that they are inadequate for that purpose, he tried to transcend them both in the end. He treated reason with the dignity it deserves and appreciated fully the value of free enquiry. But in the end he was compelled, on rational grounds, to reject reason as he found it to be inadequate in realizing the truth or in attaining the perfect knowledge of Reality. Instead of ending in scepticism or landing in contradictions and antinomies, which the different systems of metaphysics based on pure reason present, he tried to transcend metaphysics conceived as a speculative activity and attempted to construct a meaningful one on the basis of intuitive insights of revelation. In that, his values differ from the values of speculative metaphysics. 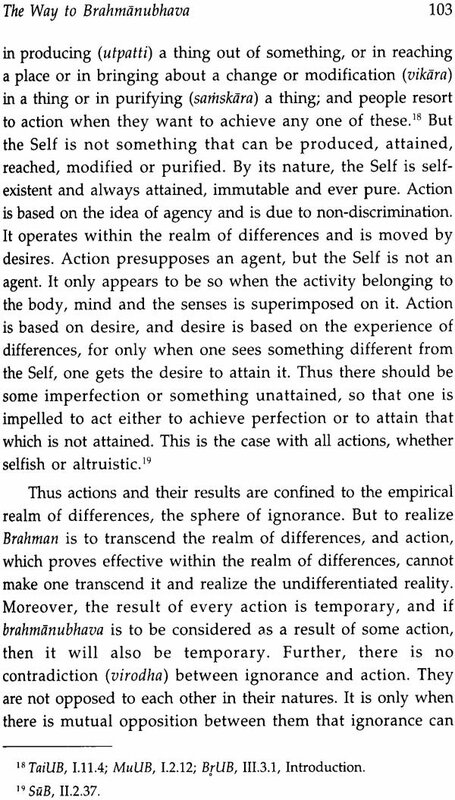 For him, nothing less than the direct awareness of Reality in its complete objectivity is the goal of metaphysics, while for many others it may be an intellectual understanding of Reality, whether it is possible or not. 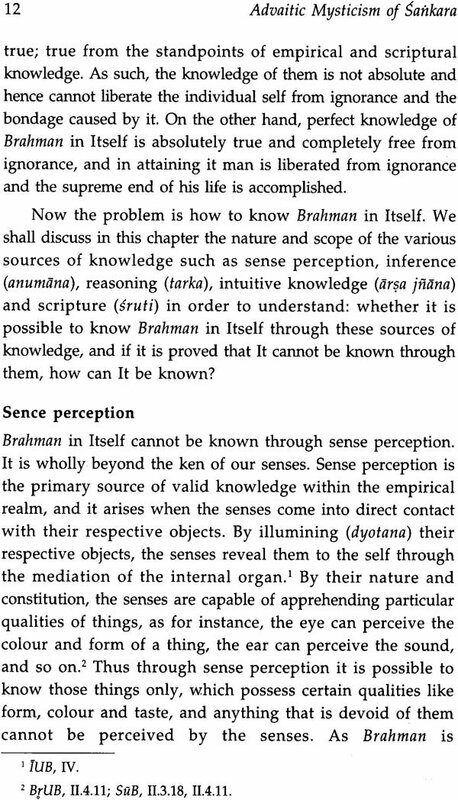 This is the true significance of the concepts of adhyasa (superimposition) and avidya (ignorance), and the goal of metaphysics is to transcend all the limitations imposed on Reality because of them, and to attain perfect knowledge of it. The important point to be noted in this connection is that in so far as he handled the problems of speculative metaphysics, he showed utmost independence and made full use of reason. However, in conformity with his objective of attaining the perfect knowledge of Reality, which he realized could not be achieved by following reason, he invoked revelation. But the acceptance of revelation and subordinating reason to it are not done for reasons other than philosophical. Because of his firm commitment to truth, he was not disturbed in compromising reason for its realization. If it is a question of compromise between reason and truth, he would prefer to compromise the former. Philosophy does not rest ultimately on the claims of reason. Its basic concern is not to uphold dogmatically the sanctity of reason even when it is found out to be wanting. If the chief concern of philosophy is not simply to uphold the claims of reason, but to know things correctly and perfectly, there is no valid reason why it should resist to accept rich insights from whatever source they may come from. 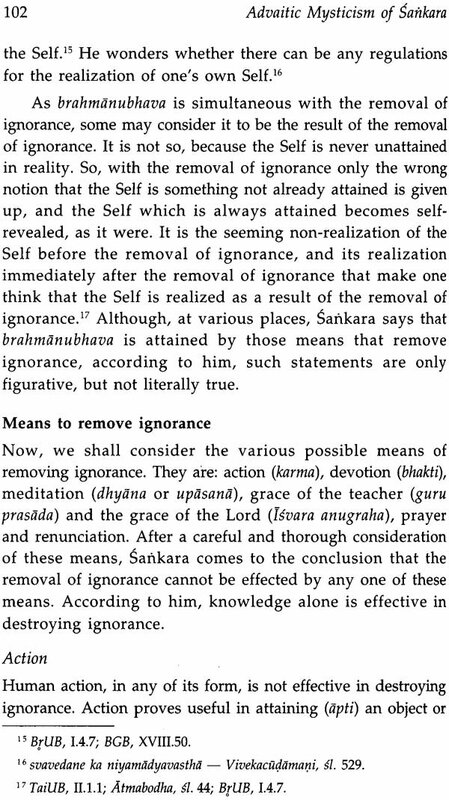 No doubt, Sankara is not simply a mystic. He is a metaphysician at the same time. While the aim of metaphysics is to achieve an intellectual understanding of Reality, a mystic passionately longs for a direct experience of it. He is not so much concerned with the formulation of intellectually plausible theories of Reality, nor in demonstrating the rationality and logical validity of his experience. His is mainly an approach of involvement. The concern of a metaphysician, on the other hand, is to construct a meaningful theory of Reality which is logically sound and can be rationally demonstrated. In Sankara, we find that both these roles are merged into one. The office of reason is to analyse and evaluate critically the facts of experience or to interpret them with a view to discover the underlying principle or principles that govern them. In performing these, its functions are not cognitive, but analytical and interpretative. As such when reason becomes indifferent to facts of human experience, the conclusions based on it turn to be empty. The facts of experience should be critically examined before they are accepted or rejected. Philosophy should not reject arbitrarily some of the facts of human experience. It should not pre-judge any facts or treat some of them as untouchables. To be comprehensive in its inquiries, it should keep open its doors to all the facts of human experience. Revelation is one such fact or at least points out to the possibilities of human experience, which many may have not realized, and for that reason philosophy should not be blind to such human possibilities. In so far as it offers valuable insights in understanding the problems of philosophy, its evidence should be carefully judged. On the other hand, if philosophy accepts revelation for reasons other than philosophical, it loses its distinction from theology. It is equally unphilosophical to reject revelation without ever examining its philosophic worth. Revelation may not be meaningful in terms of empirical experience and hence in terms of reason, but if by accepting it the latter can gain better significance, it should be accepted hypothetically whose confirmation lies in one's own direct experience. Thus in accepting certain revealed truths, in so far as they are not anti-rational and do not contradict empirical experience, one does not become unphilosophical in his approach. This was the exact predicament in which Sankara finds himself placed in his search for truth.